Hello folks! Short top-matter today because we were at my mom’s and hanging out with her all weekend. Just want to let everyone know that Nerd Nite is next Monday, March 6th! It’ll be a fun time because it is generally a fun time and we can extrapolate from experience. Also, NERDSummit is coming up the 18th and 19th of March! It’ll be a delightful time where you can learn interesting things about web development and related technology. Drop what you’re doing, come in, sit down, and knit some things! Alison Saar will mark the installation of Sleeping Beauty by talking to you and with you about mostly art things like rtistic practice and identity, followed by a reception. The Emily Dickinson Museum will be doing a poetry reading, open mic, and a one-night art exhibit! Featured poets include Allison O’Shea, Robbie Dunning, and Lauren Singer. The Featured Artist is Rhys Davies! Free and open to the public! Bettina Bergmann, professor of Art History at Mount Holyoke College, will give a spotlight tour so you can get a close look at the wall paintings of Villa A at Oplontis, and understand them better! Free with museum admission! Meet in the lobby. Conservation Biologist, permaculture educator, and designer Jono neiger will talk about how to create human ecosystems that don’t slowly kill all of us! Writer Amara Lakhous was born in Algiers in 1970, and moved to Rome after spending time in Algerian radio putting up with constant death threats. His first novel Clash of Civilizations Over an Elevator in Piazza Vittorio was awarded the Flaiano Prize in Italy. Derek Strahan will talk about the City of Firts as it is, was, and might be! Odyssey Bookshop will be at this Arts Night Plus reception for Miniature Menagerie, paintings by David Hyde Costello, selling his books! See cute as heck watercolors and then buy some books that have cute as heck watercolors in them! The same thing as the other one with this name! Only it’s not on Arts Night Plus so your power armor will only have half the charge it normally does and you’ll only be able to use your vison augs 3 times before triggering the alarm. Jan Maher will read from her book Earth As It Is, which you can fact-check live by keeping a watch on the window. Learn about diabetes and how to keep healthy as a person with diabetes. Anne Vernardin, a former high school nutrition teacher will educate you and share her success story! This week, learn about glucose! There’s a revolution happening in the client! The client has gone from being a backwater to a focus of development in a very little bit of time, and new approaches are needed to deal with it! Tagore Smith will talk about new approaches to web and application development in this turbulent time. This month Ryan Canuel will talk about how to think about what you’re doing AFTER you’ve made a fun game or in some rare cases of forethinking even beforehand. Do you start a studio? How does that even work? Do you sell the game? How? All kind of scary questions! Watch anime! Anime is according to some people quite good, and there’s sure as heck a whole bunch of it. Find some you like and share it with friendly people! Wear your pajamas! Get comfy and celebrate one of our local creative heroes! See a bunch of neat sculptures and other creations, and meet a lot of local illustrators! Buy some books, get them autographed, generally have a good cozy time celebrating great books! A documentary about the 13th amendment that will make you angry and sad in some sort of combination! See the movie version of the children’s classic The Lorax! Drop in early if you want to make a Dr. Seuss themed craft! Play RPGs with friends! It is a good time and there are many wonderful options for creative pretending-to-be-other-people in interesting settings! Is toothpaste liquid or solid? What makes it so tough to run on sand? What’s “squishy”? What’s the point of knowing the answer to any of these questions? Kerstin Nordstrom is going to explain! She’s a professor at Mount Holyoke who studies fluid flow, and she’ll talk about all the fascinating ways that soft materials behave! This session will cover one of the ways that you can help to make your experience with diabetes easier! Understand the effect of diabetes on your body and the importance of exercise. Each session has a short review in case you can’t make it to every one! A showing of the hour-long film Sonic Sea, a documentary about how much industrial noise pollution negatively affects the ocean biomes we rely on to continue to exist and not die, as well as a Q&A afterward with guest Leila Hatch, Marine Ecologist at the Stellwagen Bank National Marine Sanctuary. 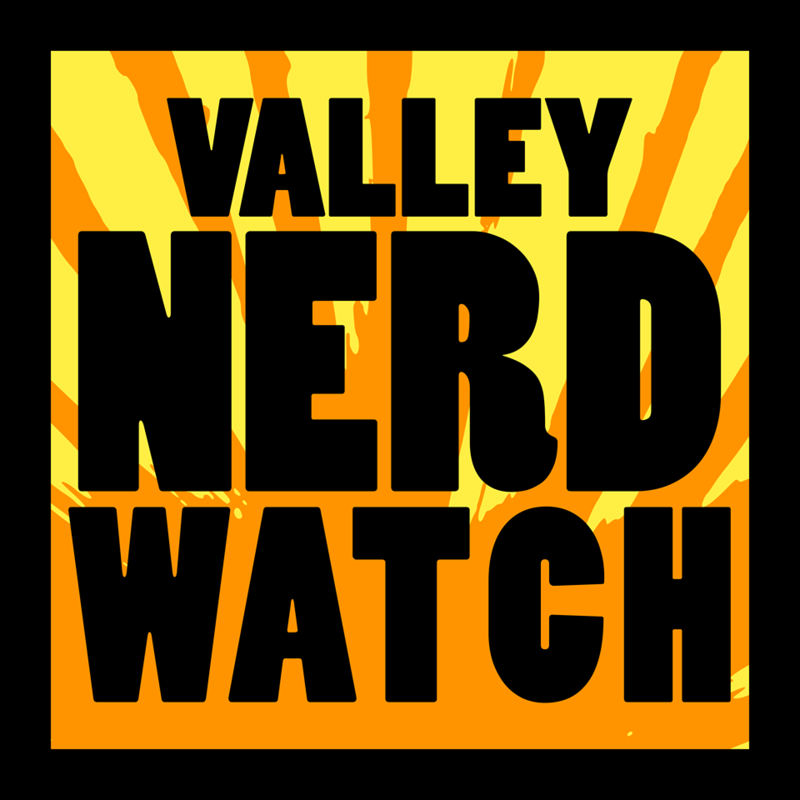 NextValley Nerd Watch Game Pack Giveaway!